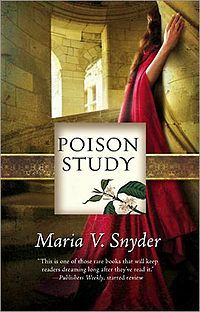 " The Poison Study" by Maria V. Snyder, is a griping, hard to put down adventure ride. The main character in this book has suffered a lot and is trying to stay alive. It has comedy in some parts and will make you fall in love with multiple characters. You get sucked in to Yelena's world and find yourself trying to figure out her secrets and hoping she finds her true self, while overcoming her demons that all she wants to do is escape from. "About to be executed for murder, Yelena is offered an extraordinary reprieve. She'll eat the best meals, have rooms in the palace—and risk assassination by anyone trying to kill the Commander of Ixia.And so Yelena chooses to become a food taster. But the chief of security, leaving nothing to chance, deliberately feeds her Butterfly's Dust—and only by appearing for her daily antidote will she delay an agonizing death from the poison.As Yelena tries to escape her new dilemma, disasters keep mounting. 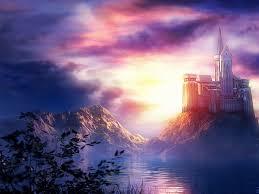 Rebels plot to seize Ixia and Yelena develops magical powers she can't control. Her life is threatened again and choices must be made. But this time the outcomes aren't so clear..."
When Yelena is offered either immediate death or possible death, she chooses to live with the possibility of dying. She is given clothes, a bath, and a room to sleep in, which she definitely prefers instead of the dank, stinky prison. When she is given Butterfly's Dust, she knows she can not escape unless she wants to die an excruciating death. Valek, the Commander's chief of security, tests her and teaches her how to distinguish between all the different poisons. When bad event after bad event starts happing to Yelena, she decides to take her fate in her own hands. She gets help from some unexpected people and even learns a thing or two about herself. All the wants to do is find a cure for the poison coursing through her body and make it to the south where she will be safe. Can she come to terms with who she really is and save her life or will she give up and be killed at the hands of her enemies?